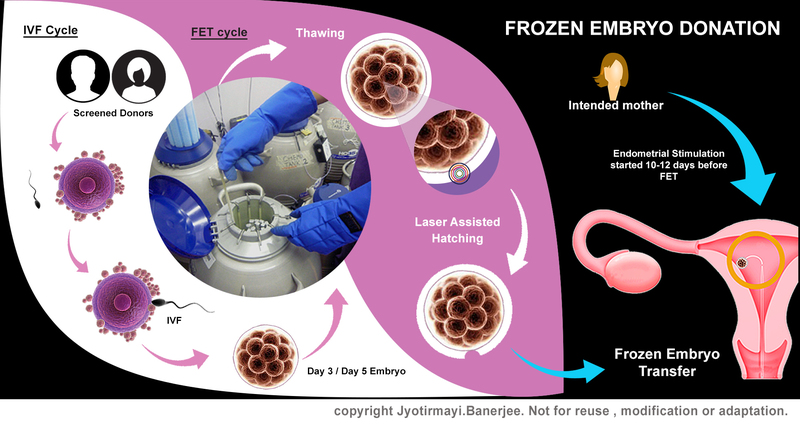 IHR maintains a Cryo Bank of healthy Embryos produced using oocytes and sperm of screened donors. This allows us to provide embryo donation services. This service is especially useful for couples who are both suffering from infertility or for couples who do not want to go through extensive IVF treatment cycles and are ready to adopt an embryo that is not genetically related to them. The identity of the Egg and Sperm donor is not revealed. How long do you need to stay for treatment? Embryo Donation procedure will take 7-10 days. For embryo donation only your wife will require to stay at kolkata for 7-10 days during which her endometrium preparation will be done. After Embryo Transfer your wife is advised to remain in Kolkata for 48 hours.